Another bonus? You'll save thousands of dollars in interest. Sick of making mortgage payments? You're not alone. A large mortgage payment – especially if it accounts for 30% of your take-home pay – can be a huge drain on your budget. It can even prevent you from reaching other long-term financial goals, such as building an investment portfolio. And that's not to mention the interest you're paying on the loan over the life of your home mortgage. If you're determined to say goodbye to your mortgage before your loan ends, here are five ways to pay off your mortgage early. One great way to pay off your mortgage early is to make an extra month's payment every year. It will help you pay off your mortgage faster, and chances are, you won't miss that extra payment. Try scheduling that payment for a month when you don't have any larger expenses, like summer vacation or during the holidays. This approach will require extra discipline on your end since you'll need to save that payment. How can you save an extra month's mortgage? Try automatically transferring a small amount each month into a savings sub-account earmarked as "extra mortgage payment." Another great way to pay off your mortgage early is to refinance your loan in order to get a better interest rate. If you are able to get a better rate, you'll save tons of money throughout the life of the loan. Plus, your monthly payments will be less if you are able to pay less in interest, which will allow you to sock away more cash toward the principal of your loan. Mortgage payments are wacky numbers, like $1,476.82. Why not round up to $1,480 (less than $4 extra per month) or round all the way up to $1,500? You likely won't miss that money, but you'll shave years off your balance due. Worth noting: Check with your lender to make sure that extra contribution applies to your principal, not to interest or next month's payment. Standard mortgages last for 30 years, but you can opt for a 15 or 20-year mortgage instead. While your monthly payments will be higher, your interest rate will be a bit lower. As long as you can swing the higher monthly payment, this will save you money, since you'll pay a lower interest rate for a shorter period of time. 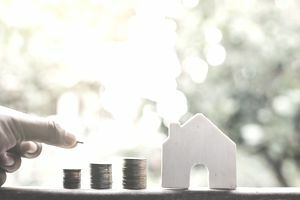 If you don't want to lock in the commitment of such a high monthly payment, you could take out a 30-year mortgage and simply make hefty extra payments on it, acting as if you had a 15-year mortgage. Your interest rate will be slightly higher, but in return, you'll have more flexibility in your payment obligations. Have you ever received "surprise" money such as a bonus, commission, tax refund or inheritance? You didn't expect this income, so you budgeted to live without it. In other words, you don't need this money. You may be tempted to fritter away this money on extras such as dining out, a new grill, or a nice handbag. Instead, why not apply that entire lump-sum to your mortgage? It could potentially shave years off your loan. You could also consider putting an extra $50 each month toward your mortgage in order to pay off the loan more quickly. Just be sure it goes to the principal of the loan, not the interest. Consider selling your home and downsizing. This way, your mortgage will be smaller, and paying it off will be much easier using the tips mentioned above. Take on a side gig or even rent out a room in your home. Then put that money toward your mortgage. Before making any extra payments, check with your morgtage company. Some will charge prepayment penalities.